SUNRISE, FL – Feb. 12, 2018 – Dr. Kristin Comella, Chief Science Officer of U.S. 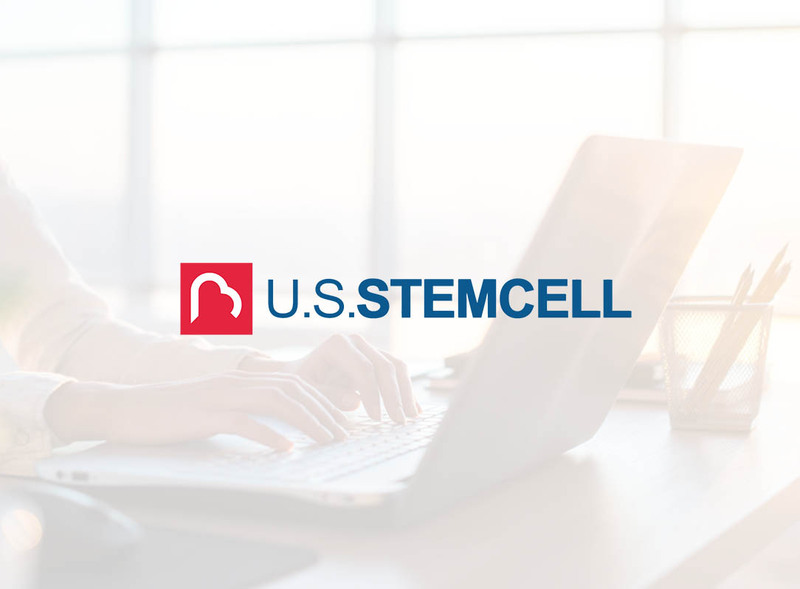 Stem Cell, Inc. (OTC: USRM), a leader in the development of proprietary, physician-based stem cell therapies and novel regenerative medicine solutions, today announced the successful launch of an open, livestream webinar series designed to inform and educate the public on the benefits and applications of stem cell therapy. “Facts About Stem Cell Therapy,” which had its first live broadcast last Friday and includes a question & answer session from more than 100 patients and physicians around the world, continued for nearly two hours while live streamers posted questions to Dr. Comella about the application of autologous stem cells therapy. Such a strong, positive response demonstrates the growing demand for information about this emerging, holistic, regenerative therapy. Dr. Comella will be hosting a second livestream webinar Saturday, Feb. 17, at 12 noon EST (Click here to register). In honor of Valentine’s Day and the month of love, her featured guest will be fitness expert Ben Greenfield, who recently underwent stem cell therapy for erectile enhancement — a multi-million-dollar industry that is increasing in patient population but is underserved, mainly due to side effects associated with erectile dysfunction pharmaceuticals currently on the market. Dr. Comella, who has more than 20+ years’ experience and is one of the world’s leading stem cell scientists, is also featured in the recent Jeff Hays docuseries “The Healing Miracle: The Truth About Stem Cells.” (Click here to view Dr. Comella’s interview from THM in its entirety.) It was her participation in the docuseries that inspired her to launch the webinar series. USRM has been involved in more than 10,000 stem cell procedures in the past 19 years for a variety of indications including orthopedic, autoimmune, degenerative and neurological diseases. USRM also trains and certifies physicians in stem cell therapy — to date, more than 700+ physicians worldwide — and has engaged with more than 287 clinics. Dr. Comella is well published in the scientific literature and has been recognized by her peers as an innovator and world leader in the development and clinical practice of stem cell products and therapies. She has also been instrumental in developing and bringing to market USRM’s AdipocellTM, a stem cell kit which enables physicians to separate potent stem cells from a patient’s own fat cells, which are harvested and reinserted in a minimally invasive, two-hour procedure without general anesthesia.